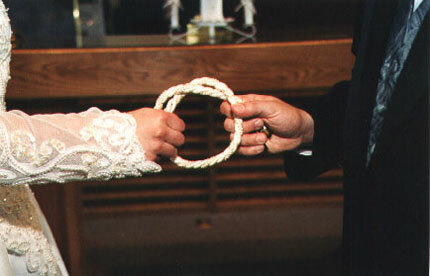 The day before the marriage, invitations to the banquet were issued. 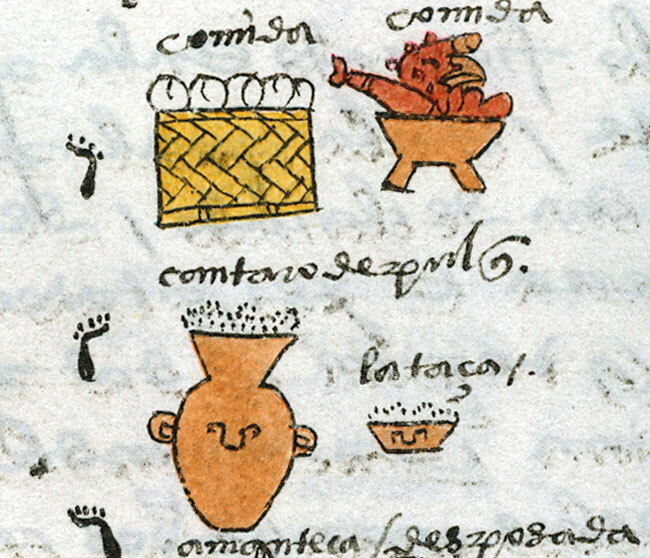 By midday all the guests were assembled, gifts were placed before the hearth, and the old men and women were well on their way to becoming drunk on pulque, the fermented juice of the maguey plant. 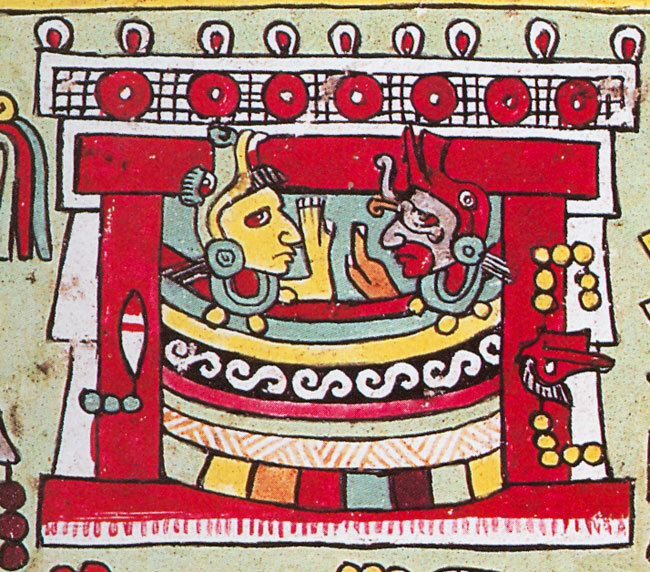 In the background of the wedding feast scene is a hearth, in front of which sits a bowl of copal incense, intended to honour the fire god, Xiuhtecuhtli. 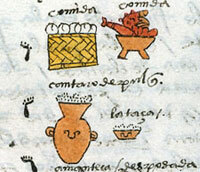 An offering of incense was a common ritual at Aztec feasts. 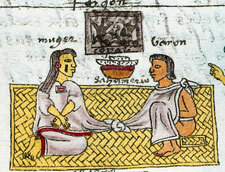 Directly below the incense bowl, a large mat is spread out, upon which the girl is seated with her groom. 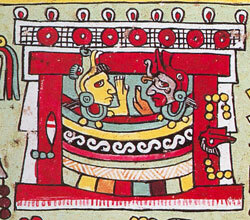 Another famous pre-Hispanic wedding scene can be found in the Codex Zouche-Nuttall (original in the British Museum): that between 3-Flint (bride) and 12-Wind (groom), shown in some detail on double-folio 19 of the Codex. 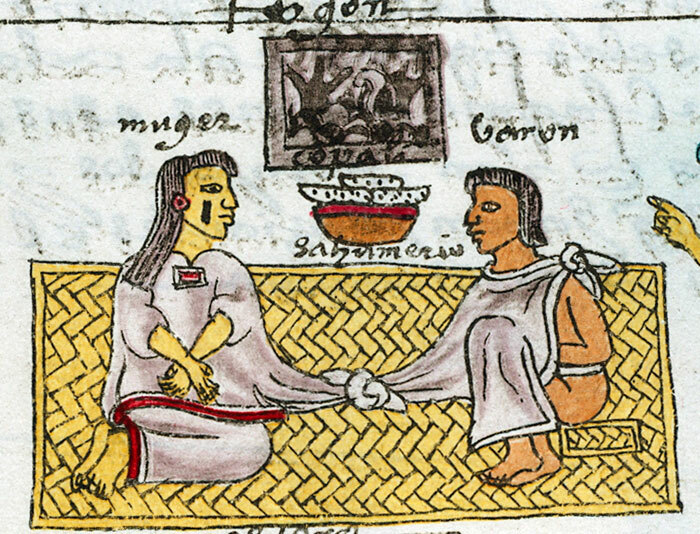 The major difference here is that it’s a royal wedding, and the lucky couple are Mixtec (from a great culture famous for its artisans, south-west of the Aztec highlands). In the codex picture (not all of which is shown here) many of the details point to the marriage as the great event that will give birth to a new dynasty (ruling marriage line). 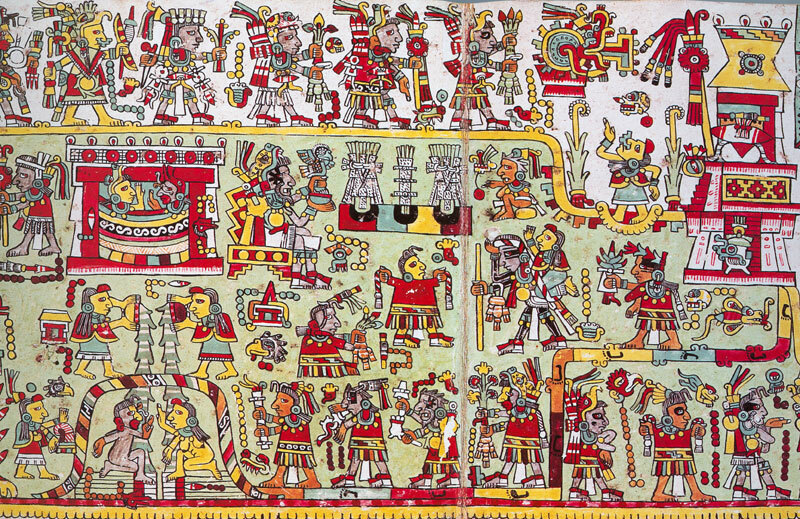 • to the right of the palace a priest named 10-Rain makes offerings to the gods, praying for fertility and abundance for the couple. 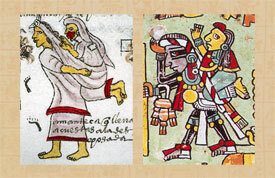 The date of the wedding, by the way, is 957 BCE in our calendar. 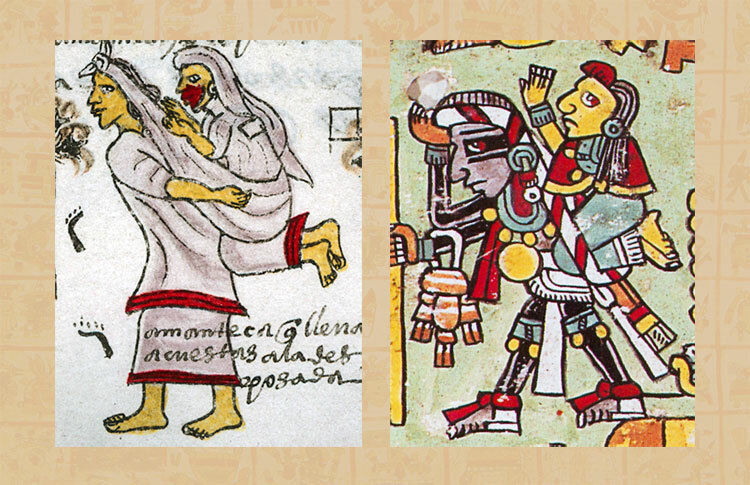 Scholars disagree as to the place where the ceremony took place: it may have been Tilantongo or Monte Albán (both important Mixtec sites).